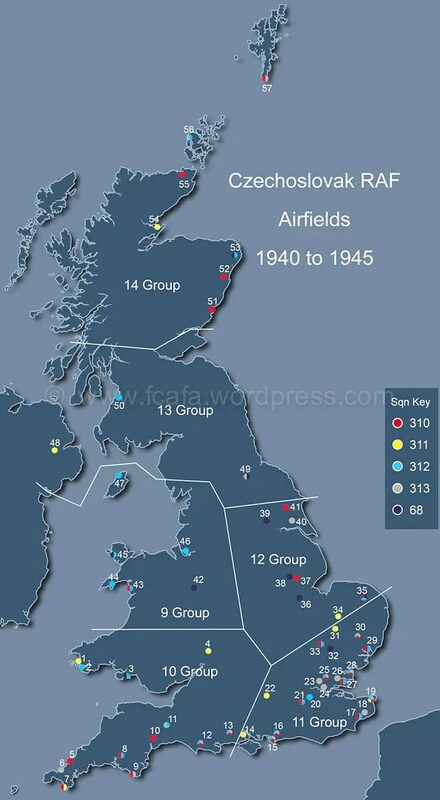 Location of airfields, in Great Britain, used by the Czechoslovak RAF Squadrons between 1940 and 1945. Thank you, you have reminded me of one of the few times my Grandad ever came over from the Midlands to visit. He suddenly opened up about flying from East Anglia and My Mum took him to East Wretham and we saw the base from outside. you’ve bought back some happy memories.